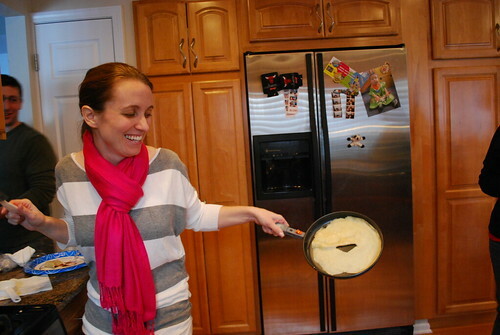 Did you know that February was National Pancake Month? Nothing says comfort food more than a plate of warm and fluffy pancakes and now there’s an entire month dedicated to this holiday. But if you missed out on National Pancake Month, no worries! 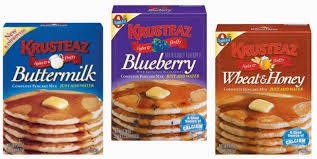 Krusteaz can help you celebrate all year long and they have a wide selection of pancake mixes such as Buttermilk, Blueberry, Heart Healthy, Honey Wheat, Chocolate Chip, Apple Cinnamon and Original and a slew of recipes to help you put your own spin on your favorite flavors. 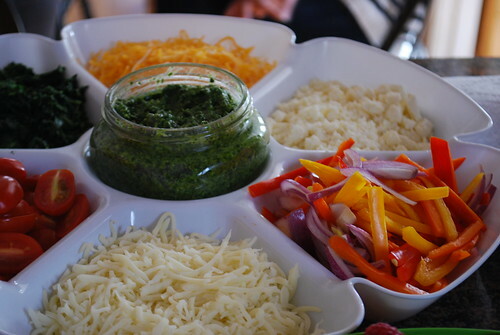 Adding in your favorite mix ins is part of the fun and a great way to get the entire family involved. 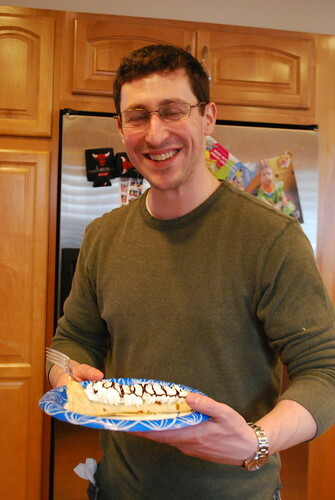 To get into the spirit, friends and I celebrated National Pancake Month with a crepe party. 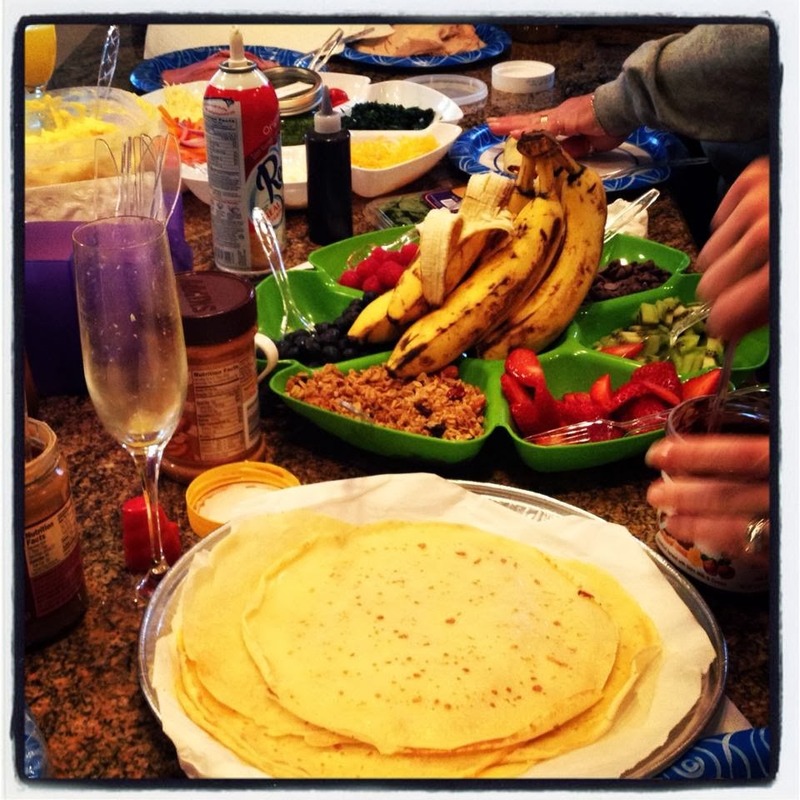 We had a great time making crepes, which are a thin pancake popular in France. They were easy to make and we enjoyed them filled with a slew of sweet and savory ingredients, customized for our personal tastes. Who knew having the same dish for both dinner and dessert could be so delicious?! In medium bowl, whisk together Krusteaz Buttermilk Pancake Mix and flour; gradually stirring in the water until smooth. Add eggs and butter and continue to stir until smooth. 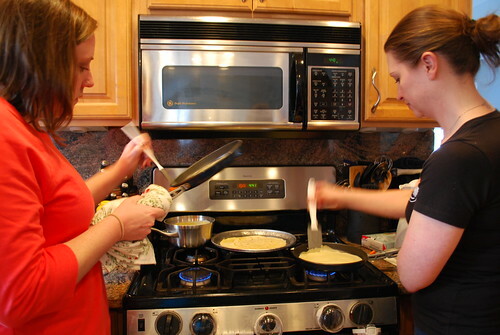 Preheat a lightly greased 5 to 6-inch frying pan or crêpe pan over medium-high heat. Spoon 2-3 tablespoons batter into center of frying pan and tilt to thinly coat bottom of pan evenly. 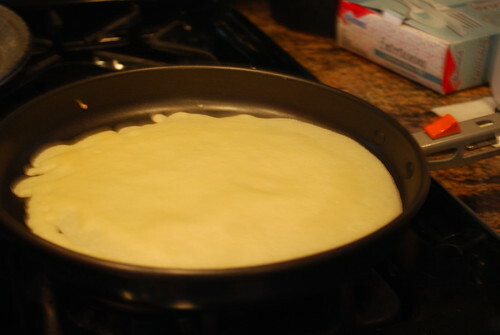 Cook crêpes until delicately browned; turn and cook lightly on other side. 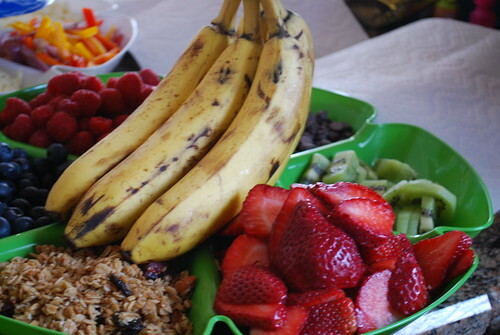 Go sweet and fill with sweet ingredients! 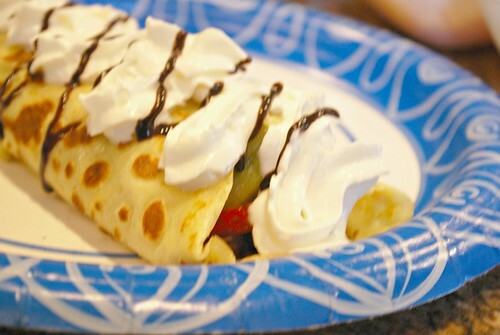 We had our choice of sliced bananas, strawberries, blueberries, raspberries, kiwi fruit, chocolate chips, granola, Nutella, peanut butter, chocolate sauce, caramel sauce, and whipped cream.